It was the first spring day. temperatures up to 15Â°+. What a change! 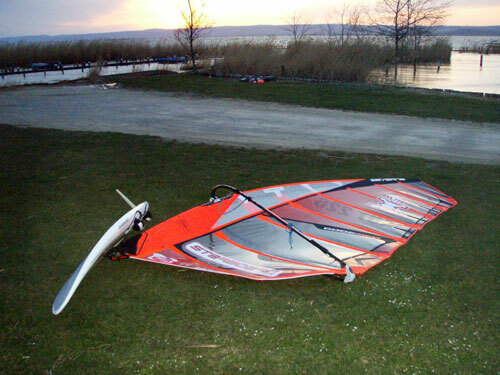 And the wind kicked in with more than 20 knots and in gusts up to 30 at Lake Neusiedler. I decided to sail in Weiden. This spot works much better with wind from south eastern direction. Today it was super exciting: it was the first time on the new Code Reds. I had a session with Pfaffi and Peter, two excellent Slalom and Formula sailors from Austria. At the beginning I went out on the 7,0 and the iSONIC 101. The 7,0 has a lot of power and is very easy to lock. 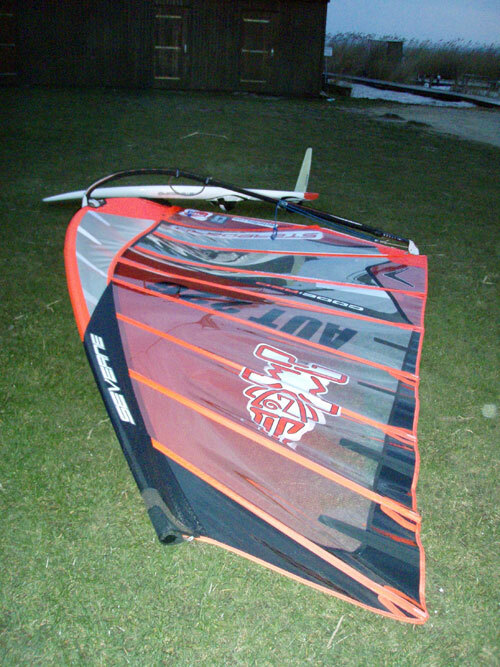 Later on the wind picked up and I switched to the 6,2 and the iSONIC 86 combo, which works amazingly great. I was super motivated to test the 8,1 and 8,8 a well, but the southeastern wind kept its strength and it was still strong enough when the sun was down below the soft Leith hills. So, no 8,1 and 8,8 testing. But there is a chance to catch some wind from the same direction tomorrow morning till midday. Would be great! 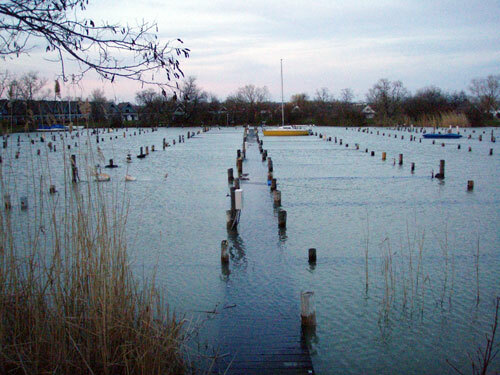 After the first runs at Weiden, Lake Neusiedler. Too much water in the Marina. Great for windsurfing.